Owls, foxes, squirrels, deer. I’m a fan of them all, but I especially love clothes that have these adorable creatures on them. I own quite a few articles of clothing with foxes and owls on them, but this is my first squirrel top! Hooray for cute animals! My weekend was so fun and relaxing. Sunday is the day we get ready for the coming week. We just went out for breakfast and did some grocery shopping. Then we came home, got in our comfy PJ’s, and cuddled up for movie night. How perfect does that sound? We watched Life of Pi (again). Such an amazing film! I also heard that the book was good. I might just have to give it a read. I hope you all have an wonderful week! 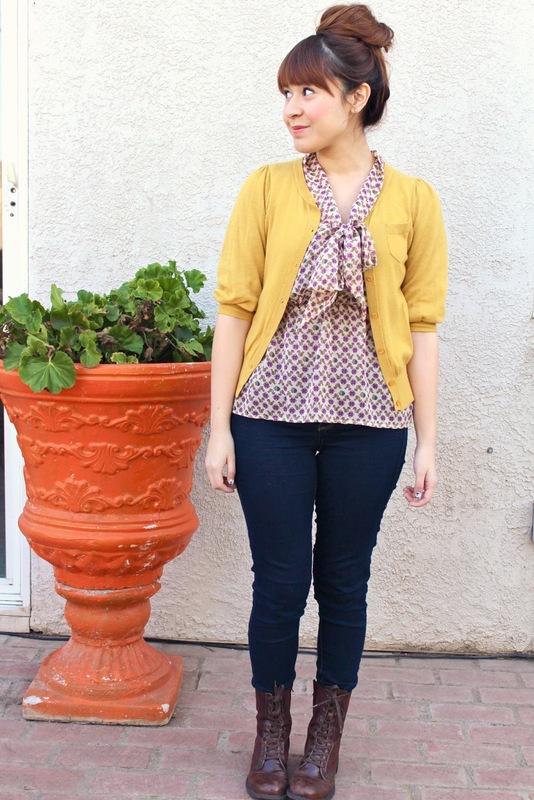 I love all the warm colors in this outfit! I love the print! Is that squirrels?! Awesome! 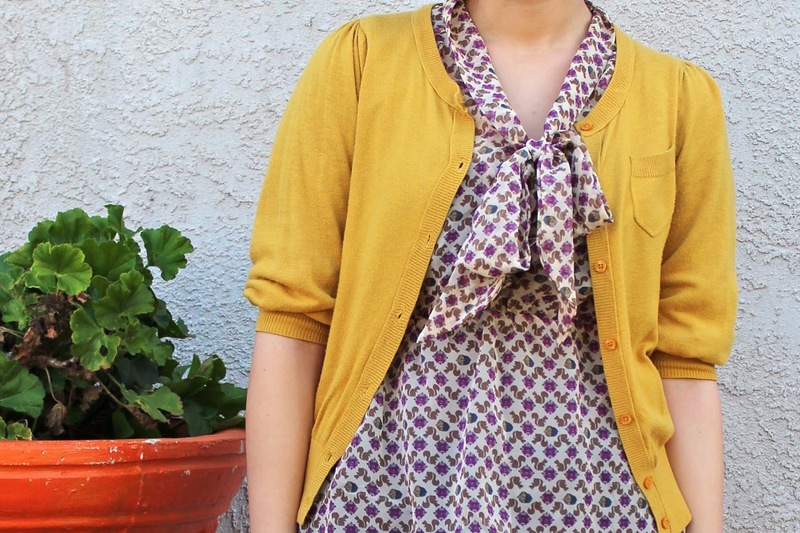 Such a cute outfit–I love it! 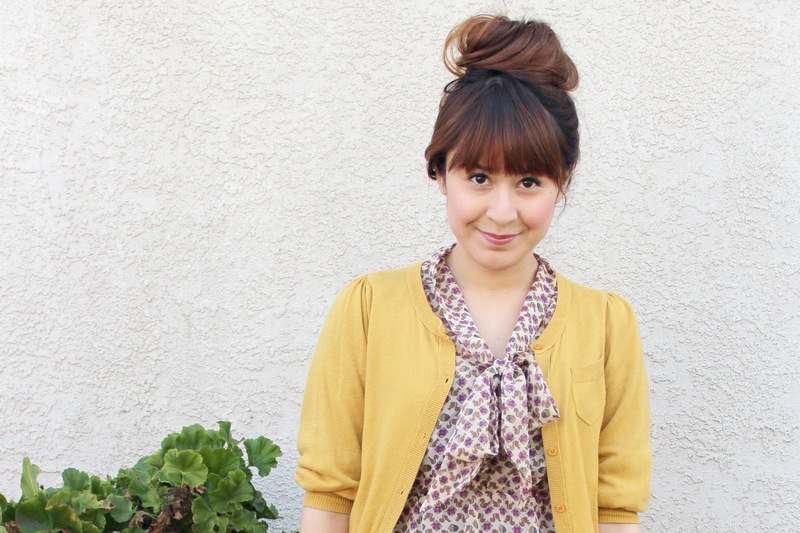 I can't wait for my hair to get longer so that I can try the top knot, too. 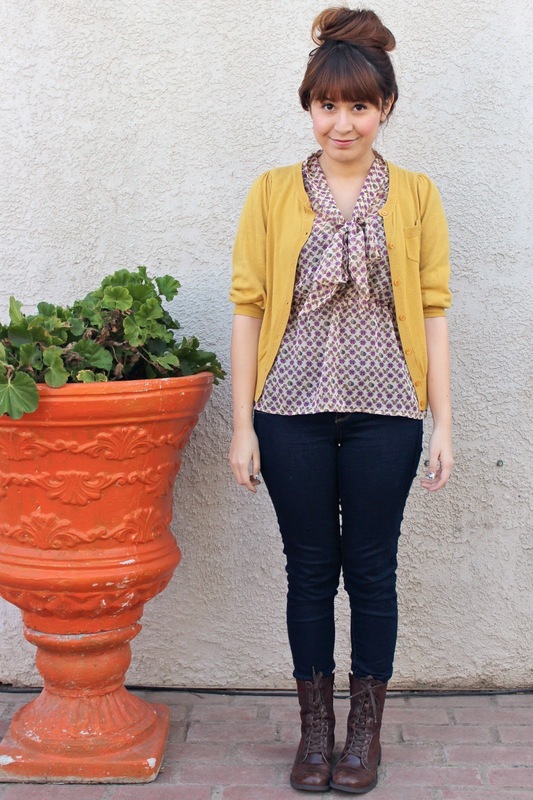 A relaxed and fun outfit. Love your boots and cute cardigan. ughhh, too cute girl! 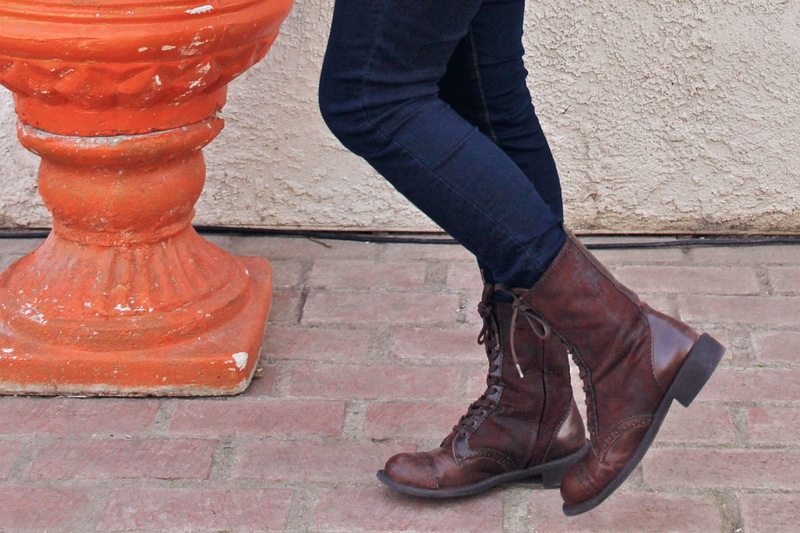 love the boots, they aren't as clunky as some combats. naturally i'm already obsessed and have to go find them for myself. happy tuesday! This outfit is so cute! I especially love the boots. Thank you, dear! Yes! Squirrels! I thought the same thing when I saw this top! Had to have it!